So far Mike Noble has created 12 blog entries. The Midhurst Society are hosting a public meeting on the 10th January where you can put your questions or suggestions about The Grange site to 2 Chichester District Councillors. 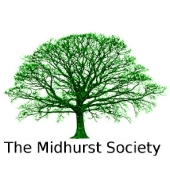 Questions must be submitted in advance to The Midhurst Society but if you have a question and can’t make the meeting, it can be read out on your behalf. Please check The Midhurst Society website for full details. Chichester District Council have providing all the information you need on the link below to help maximise your recycling this Christmas, including what materials can be recycled and where to take your tree. The link below will also help you find when your next waste collection dates will be over the festive period.